​Focusing on joy radically shifts the way we view victims, perpetrators, and activists and recasts the philosophical and historical foundations of human rights, providing a new lens for thinking about and practicing a more affirmative and robust notion of human rights based upon a more comprehensive understanding of human experiences. 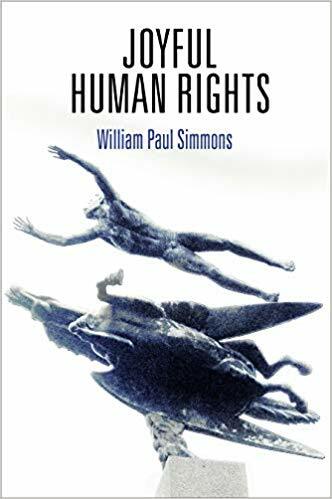 ​A pioneering work that thoughtfully explores human rights in the context of the most joyful of human experiences, Joyful Human Rights disrupts current human rights thinking and practice and leads us to challenge the foundations of human rights afresh. The term “human rights” is now almost always discussed in relation to its opposite, “human rights abuses.” Syllabi, textbooks, and academic articles focus largely on abuses, victimization, and trauma with nary a mention of joy or other positive emotions. Focusing on joy shifts the way we view victims, perpetrators, activists, and martyrs. Importantly, focusing on joy mitigates our propensity to express paternalistic or salvatory attitudes toward human rights victims. Victims experience joy, indeed it is often what sustains them and in many cases what best facilitates their recovery from trauma. Instead of reducing them merely to victim status or to the tragedies they experienced, human rights workers can help harmed individuals to reclaim their full humanity, which includes positive emotions. A joy-centered approach provides new insights into foundational human rights issues such as motivations of perpetrators, trauma and survivorship, the work of social movements and activists, philosophical and historical origins of human rights, and the politicization of human rights. Many concepts rarely discussed in human rights works play important roles here, including social erotics, clowning, dancing, expressive arts therapy, post-traumatic growth, and the Buddhist terms metta (loving kindness) and mudita (sympathetic joy).